Need Capital Formation but don’t have the financials to sit with your bank or an investor? Crowdfunding is an excellent method to get the backing you need to develop your idea or fund your project. When properly executed, crowdfunding can promote your business globally while at the same time offer innovative perks to Internet users at various levels so you can gather the funding you need to proceed with your business. On Track Marketing has successfully assisted clients in creating innovative crowdfunding campaigns on popular sites like Kickstarter and IndieGoGo. 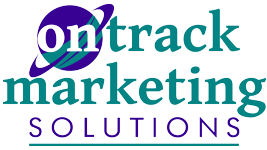 Contact On Track Marketing to discuss the viability of adding a crowdfunding campaign to your Internet Marketing Strategies.